A day after the International Day of the Disappeared was marked by families of missing persons across the world, the US Ambassador to Bosnia and Herzegovina H.E. Mr. Patrick Moon toured the facilities of the International Commission on Missing Persons (ICMP) in Tuzla. In these facilities ICMP works to identify missing persons from the armed conflict in BiH and the rest of the world where it has its operations. This was Ambassador Moon’s second visit to ICMP, following his tour of ICMP HQ and DNA laboratory at ICMP’s Headquarters in Sarajevo in November 2010. The 30th of August is increasingly recognized throughout the world as the International Day of the Disappeared. On this day families of persons who have missing loved ones from armed conflicts and violations of human rights seek to draw attention to this issue and to ensure that authorities uphold the legal rights of the families of the disappeared to know the fate and whereabouts of a missing loved one. The International Commission for Missing Persons is delighted to be able to share with you a text that has been written by the Regional Coordination of Family Associations of Missing Persons from the former Yugoslavia which was read at today’s marking of the International Day of the Disappeared in Brcko. The Regional Coordination comprises representatives of family associations of the missing from Bosnia and Herzegovina, Croatia, Kosovo, Montenegro and Serbia whose mission is to lobby governments and state institutions to resolve the missing persons issue and increase awareness of the issue at the domestic and international level. 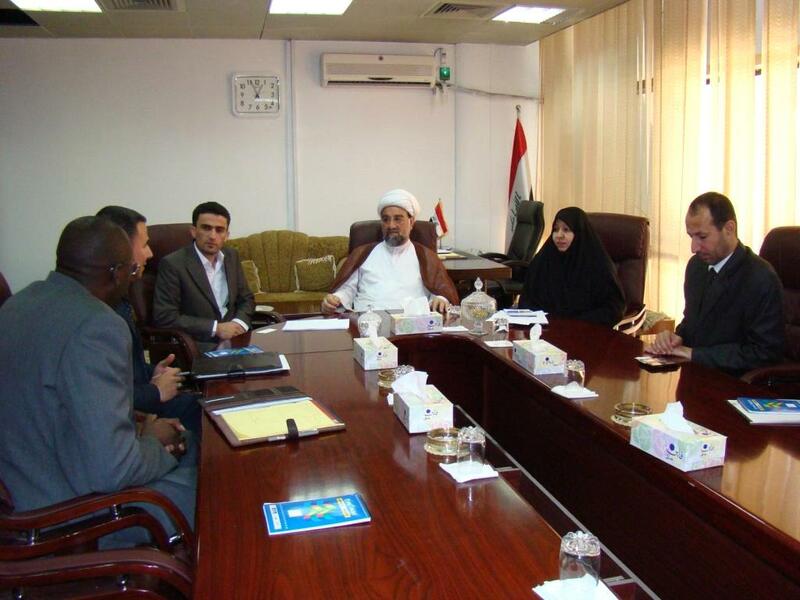 Head of ICMP’s Iraq Programs, Mr. Johnathan McCaskill, met in Baghdad on Wednesday with members of the Committee for Martyrs and Political Prisoners of the Parliament of Iraq, including the head of this Committee Sheikh Mohammad Al-Hendawi. Mr. McCaskill briefed the Committee of ICMP’s activities both in Iraq and internationally.